The house has its own terrace with garden furniture and a parking area. A barbecue is available. Our guests are also welcome to make use of our large garden. The garden is unfenced. The house is centrally heated and offers cosy accommodation of around 95sq.mtrs.over two floors. On the ground floor there is an open plan kitchen/dining area and living room. There is a large bathroom with shower, toilet and washbasin. Towels and all bed linen provided. On the first floor there is a double-bedded room, a twin-bedded room and a toilet with wash-hand basin. A further single bed or child’s cot can be provided on request. 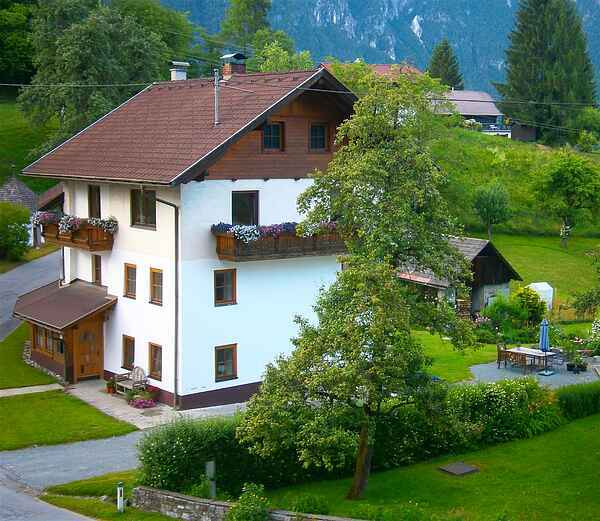 Haus Elisabeth is only about 10kms from the superb Nassfeld Ski Arena with 110km of ski piste, off-piste skiing, ski school and many mountain restaurants. Cross-country skiing is available locally and throughout the Gail valley. The Gailtal Golf Club is about 15kms away. Rafting is available on the Gail river.